I have a thing for dishes that bring together sweet and salty flavors in one bite. It's like every mouthful hits all the right notes and sends you going back for more (and more and more!). I first tried these Roasted Sweet Potato Wedges topped with Pistachios, Goat Cheese and Pomegranate Glaze at an event I went to last week sponsored by Wonderful Pistachios (yes, they of the amazing TV commercials! 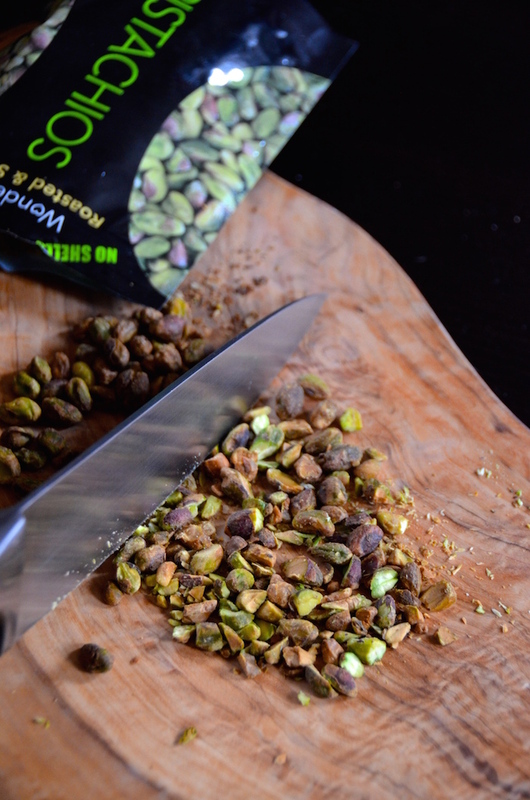 ), where we all teamed up to make a bunch of delicious winter recipes featuring pistachios. 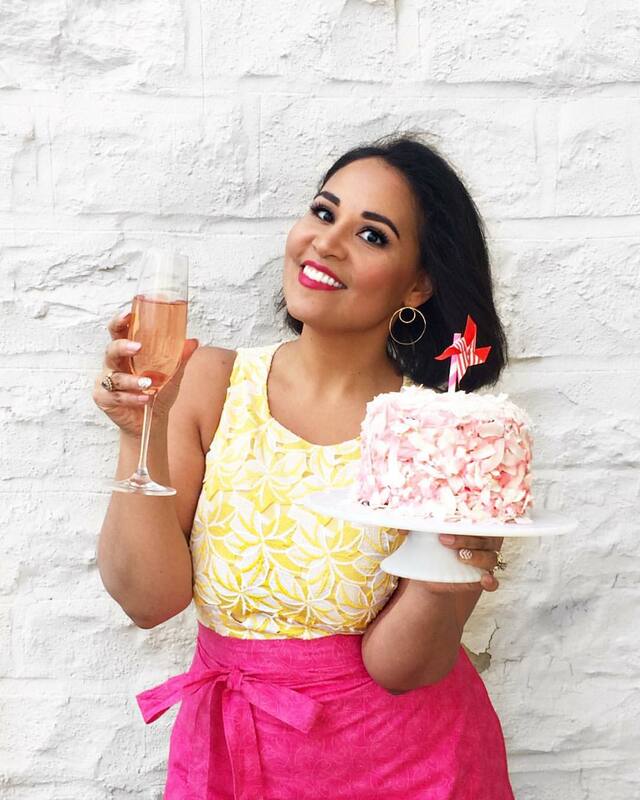 You can read more about that party here, but if it's the recipe you're looking for, scroll down! I have made this easy sweet potato side dish twice since the party last week, and am already thinking about doing it again for Christmas or maybe even our New Year's party. It is THAT good. 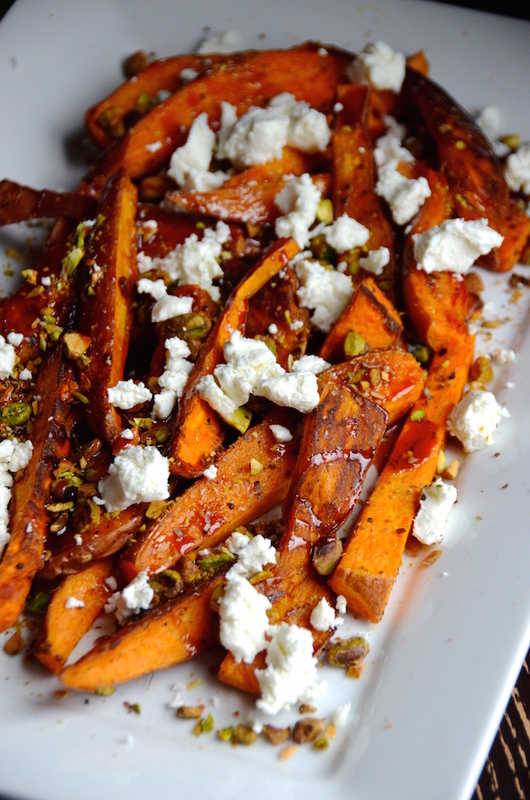 The sweet potato wedges are crispy on the outside and tender inside, and paired with the salty roasted pistachios and goat cheese. And then the perfectly sweet and spicy pomegranate juice glaze ties the whole magical thing together. Ahh...SO GOOD! For this dish, I definitely recommend that you get the bag of shelled Wonderful Pistachios, which will save you buckets of time since you can basically use them straight from the bag. Preheat oven to 425 degrees. Prepare two baking sheets. 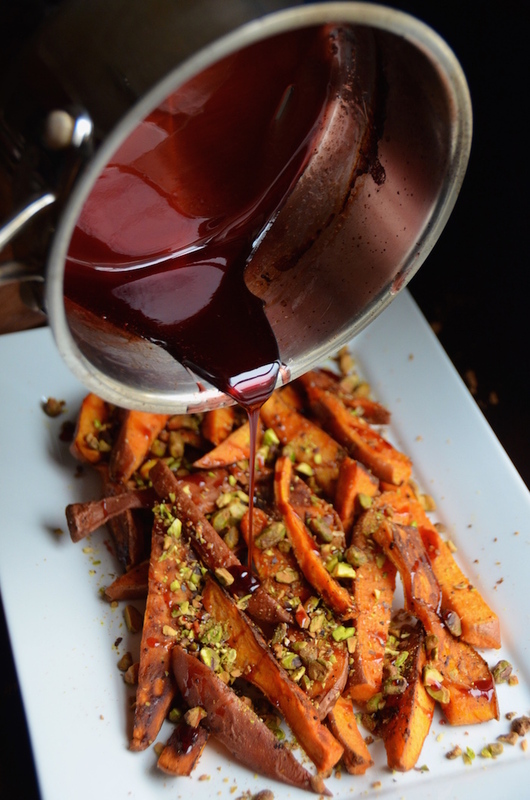 Toss sweet potato wedges with oil, kosher salt, and ground black pepper until evenly coated. Spread out on prepared baking sheets, and roast for 25 minutes, flipping wedges and rotating pans after 15 minutes. While potatoes roast, combine pomegranate juice, honey, and hot sauce in a small saucepan and bring to a boil. Lower heat and let simmer for about 5 minutes, stirring occasionally, until reduced to a syrup (note that it’ll thicken a bit as it cools, so you want it a bit loose). Remove from heat and let cool. 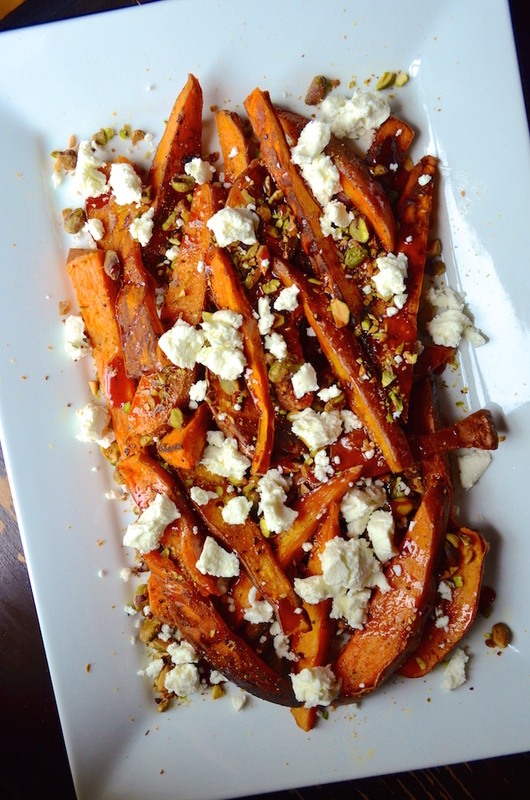 To serve, arrange the roasted sweet potatoes on a platter and sprinkle with chopped pistachios. Drizzle with pomegranate glaze and top with crumbled goat cheese. Serve warm or room temperature.